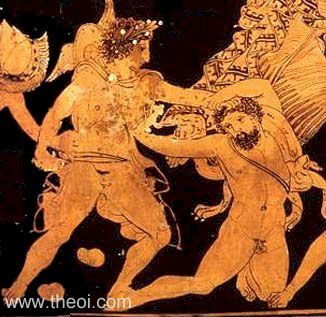 Detail of Hermes battling the Gigante Hippolytus from a painting of the Gigantomachia (War of the Giants). The god grasps the giant by the hair preparing to slay him with his sword. He has a winged petasos cap slung across his shoulder.